MRP Industrial plans to construct the single-story building on a site that formerly contained a Class B, 244,000-square-foot block and metal warehouse, which collapsed from structural failure after a heavy snow storm in 2016. A rendering of the speculative office building at 7951 Oceano Ave. in Jessup, MD. JESSUP, MD—A partnership of Baltimore-based MRP Industrial and Clarion Partners LLC of New York City has acquired an 11-acre site here with the intention of building a new speculative 175,200-square-foot warehouse/industrial building to take advantage of strong tenant and investment demand in the region. The MRP-Clarion partnership acquired the site at 7951 Oceano Ave. within the Maryland Food Center near the intersection of MD Route 175 and US Route 1 for an undisclosed price. Mark Levy, executive managing director and market leader of commercial brokerage firm JLL, represented the seller in the transaction. MRP Industrial plans to construct the single-story building on a site that formerly contained a Class B, 244,000-square-foot block and metal warehouse, which collapsed from structural failure after a heavy snow storm in 2016. The planned sustainable development program calls for recycling of existing materials, and the construction of a new energy efficient, rail served, concrete tilt-wall building featuring 32-foot clear ceiling heights, LED lighting, 37 trailer stalls, a 180-foot truck court and two parking fields containing 135 vehicle spaces. No development cost for the project was released. Construction on the new building is expected to begin in the spring of 2019 with delivery by year’s-end 2019. “Tenant and investor demand for industrial and warehouse product in the Baltimore-Washington Corridor, as well as nationally, has shown no signs of subsiding and we expect continued momentum in this product category based on existing fundamentals,” states D. Reid Townsend, principal of MRP Industrial. Marketing of the property has already begun. The Maryland Food Center is a public and private partnership developed by The Maryland Food Center Authority that features a number of large-scale distribution operations, including those operated by SYSCO Food Services, Lancaster Foods and Terminal Corp. More than 3,000 employees work in the center on a daily basis. Several weeks ago, the parent company of Domino Sugar revealed plans to lease more than 300,000 square feet of space within The Maryland Food Center, in a warehouse building formerly utilized by Giant Food. The new ownership points to the tight industrial market in the greater Baltimore region as key to its decision to build the speculative project. According to Lee & Associates | Maryland, the vacancy rate for industrial real estate buildings in the greater Baltimore metropolitan region dropped from 8.2% in the second quarter of 2018 to 7.7% in the third quarter of this year with positive net absorption of nearly 2.4 million square feet of space, including the absorption of nearly 2 million square feet of Class A product. “The availability of this Class A, modern building will provide new options for companies seeking a flight to quality, in a market flooded with 1980s-era product. End-users will now have access to new energy-efficient construction without compromising location and access required for logistics efficiencies,” notes Lisa A. Goodwin, SVP of MRP Industrial. JLL has been selected as the exclusive leasing broker for the property with Ben Meisels, managing director, brokerage, handling the requirement on behalf of the brokerage firm. 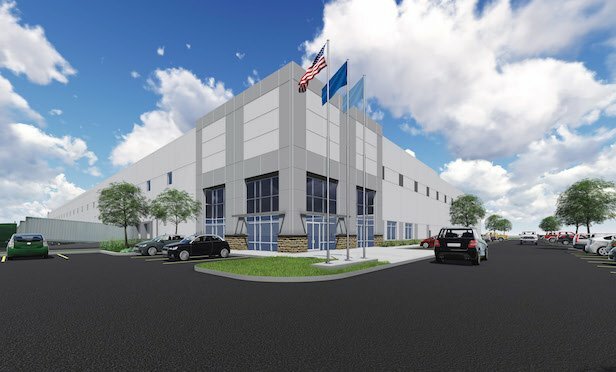 Back in August, MRP Industrial reported it had signed lease deals with three tenants that aggregated out to 1.5 million square feet of warehouse/distribution space at two properties in Harford County, MD. The deals involve more than 600,000 square feet of existing space and 850,000 square feet of new construction, including a 600,000-square-foot distribution facility for retailer The Container Store. Earlier this month, Clarion Partners made news when it acquired114 W. 41st St. in New York City, an office and retail property, from Blackstone and EQ Office for $282 million.